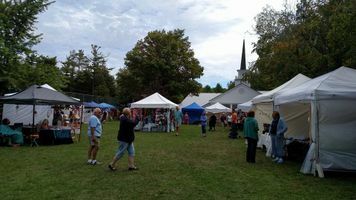 The Grand Lake Association welcomes you and 35 Local Artists and Crafters to the 43 Annual Arts and Crafts on the Green, which is located in front of the Grand Lake Chapel and in the Homestead Park. Among the exhibitors, you will find woodworkers, photographers, painters, potters, seamstresses, knitters/crocheters, jewelers, cooks, writers, rock hounds, soap makers and more. The Rogers City Kiwanis will again provide a food wagon and the Presque Isle Women’s Club will have their annual bake sale. There is a park in which the kids can play and we are just 6 miles south of thetwo Presque Isle lighthouses. Come join us!